New book by Shelley Stamp details extraordinary role that women played in shaping American movie culture. 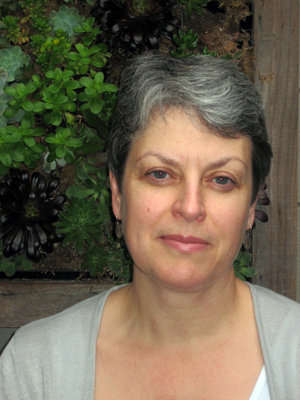 UC Santa Cruz film and digital media professor Shelley Stamp will be featured on a panel about arts biography this weekend at the 20th annual Los Angeles Times Festival of Books--the largest public literary festival in the country. 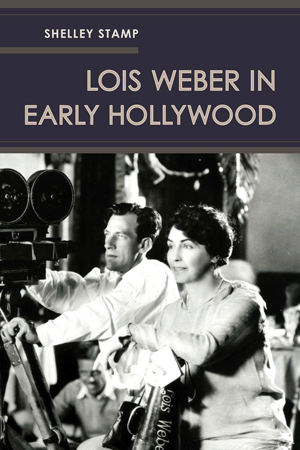 Stamp will be there to discuss her new book, Lois Weber in Early Hollywood, just published last week by the University of California Press. Stamp noted that Weber was one of the top filmmakers in early Hollywood, considered one of its "three great minds" alongside D.W. Griffith and Cecil B. DeMille. But while they have long enjoyed recognition as the "fathers" of American cinema, Weber has been mostly neglected by film historians. “Her work is incredibly interesting because she wrote and directed popular narratives in the 1910s that took on controversial subjects of the day--poverty, addiction, capital punishment, and the fight to legalize birth control,” said Stamp. Stamp said she was looking forward to the panel at the LA Times Festival of Books to share her book about Weber and add to the historical record. At the Los Angeles festival, Stamp will be participating in a panel on "Artistic Influencers" with fellow authors Mark Harris and Robert M. Dowling. Harris will be discussing his latest book Five Came Back: A Story of Hollywood and the Second World War, about the wartime propaganda work of filmmakers John Ford, William Wyler, John Huston, Frank Capra, and George Stevens. And Dowling will be discussing his recent book on playwright Eugene O'Neill. “Weber, who has often been sidelined in histories of Hollywood, deserves recognition among this esteemed group of "influencers," Stamp noted.